Uber’s been thirsty for some good press lately, what with the ride-sharing juggernaut’s unsavory business practices—from the spying to the sexism to its own CEO’s general douchiness—coming to light. 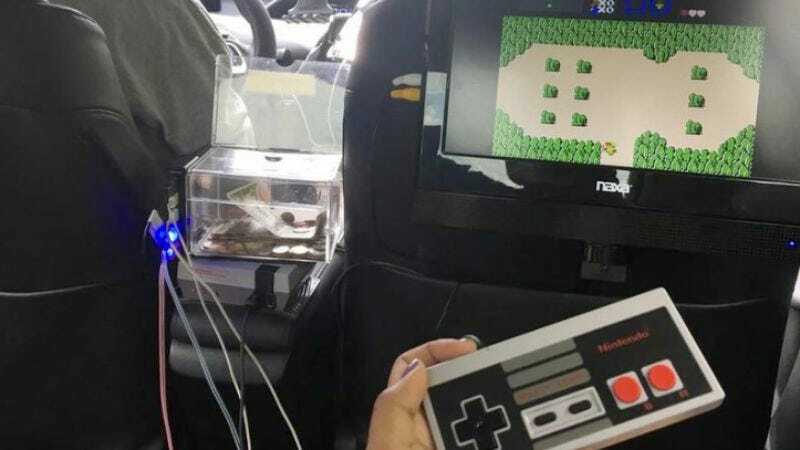 They’ll be grateful, then, for the little bit of ingenuity displayed by a Durham, North Carolina Uber driver, who appears to keep a functioning NES Classic (a rare revival of the original console) in his back seat. The picture was posted to Reddit by user Okdiv and depicts them playing the original The Legend Of Zelda, though the NES Classic comes loaded with what Okdiv described as a “ton of games.” Uber could earn back some goodwill by putting one in every back seat, but, alas, there just simply aren’t enough Nintendo Classics out there.